If you dug a hole through to the other side of the earth, where would you end up? 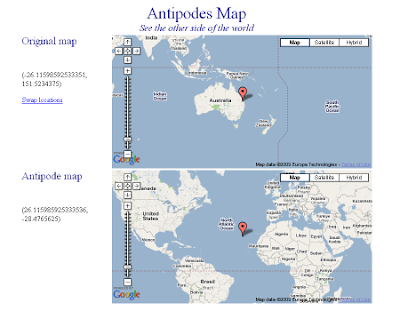 The web-based Antipodies map lets you find out. Just locate your present location and it'll show exactly where the opposite side of the world is.